A fragrance with resolute virility with its intense woody accord touched with vibrant spices, frankincense resin and crisp fruit blended with the sensuality of marine amber, musk and sweet tobacco. This creamy foam is a delight to apply. It perfectly cleanses the epidermis, while improving the skin's texture. Men's Skin Care - AskMen. It provides a wonderful sensation of freshness and leaves the skin clean and energised. Eliminates dead cells, impurities and excess sebum (gentle cleansing base, AHA). Prepares the skin for shaving and softens it (bisabolol). The skin is soft and clean. The complexion looks fresher. Apply to damp face and neck morning and evening, avoiding the eye area. Rinse with water. The answer to a dull complexion, drawn features, and a dehydrated skin. With an invigorating fragrance, gel-cream texture containing small particles the new 'Le Gommage ' for men facilitates the elimination of dead skin cells and stimulates cell regeneration. The skin is purified, balanced, fresh, healthy and radiant. Exfoliating particles of varying sizes to optimise the elimination of dead skin cells by mechanical action. Neutralises the effects of environmental pollutants, such as nicotine, exhaust fumes or chlorine. A source of energy for the metabolism of the skin, it replenishes and invigorates tired skin and helps it gain strength and vitality. Promotes cellular renewal and helps maintain the balance of the skin. Apply in circular movements over the face and neck area avoiding the eye area. Rinse off with water and apply appropriate toning lotion. with the skin. It leaves the skin supple and ideally prepares stubble for shaving. 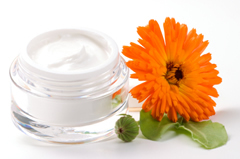 Lubricating agents protect the epidermis. The razor glides easily, preventing small cuts. • The gel is suitable for all skin types. • Allows for precise shaving for smooth skin. • The skin regains its softness and comfort. This fresh and non-oily alcohol-free gel-cream provides comfort and softness to skin weakened by daily shaving. The skin is soothed, soft and supple. Apply immediately after shaving to clean, dry skin. This fresh and non-oily gel soothes the eye contours and helps reduce signs of fatigue, such as dark circles and puffiness. Preserves the delicate balance of the eye contour with its fragrance-free formula with no artificial colouring. Combats fatigue by stimulating the skin's microcirculation (biotechnological active ingredient rich in Vitamin PP combined with ginseng and caffeine). The eyes look energised, fresh and rested. Signs of fatigue are smoothed away. Apply a small amount morning and/or evening, gently dabbing onto eye contours. This fresh gel is a daily skincare product with energising properties. It recharges the skin with energy to help it combat signs of fatigue and lack of radiance. Revitalises by boosting vital cellular functions (multi-mineral cocktail of Magnesium, Copper and Zinc and an energising micro-alga, Dunaliella Salina). Stimulates cellular renewal (Vitamin A). The skin is visibly energised and regains all of its vitality and radiance. Apply morning and/or evening to entire face and neck after cleansing. This light cream is a complete high-performance skincare product. Its anti-ageing properties help combat signs of skin ageing and reinforce the skin's natural capacities. Firms and reinforces the skin's structure (restructuring peptides and hemp oil). Smoothes features marked by ageing (firming sweet almond biopolymers). Protects the skin against dehydration* (shea butter, beeswax, protecting polysaccharides). Helps prevent accelerated skin ageing caused by free radicals (Vitamin E). The skin is strengthened and better protected. It looks younger than ever. This light and non-oily fresh fluid helps moisturise* the skin, while keeping it clean and shine-free. Hydrates* the skin effectively (Aquarégul combined with protective polysaccharides). The skin is clean and healthy. It is lastingly moisturised* and visibly matified.